Trump lashes out at Iran during Jerusalem visit – Royal Times of Nigeria. US President Donald Trump travelled to Jerusalem on Monday to seek ways to achieve Israeli-Palestinian peace, but also used the visit to again lash out at Iran. Trump’s visit is part of his first trip abroad as president and follows an initial stop in Saudi Arabia, where he urged Islamic leaders to confront extremism while also criticising Iran. It also comes as he contends with a raft of problems back home, including a special counsel investigating whether his associates colluded with Russia. Trump landed in Tel Aviv on Monday afternoon, welcomed by officials including Israeli Prime Minister Benjamin Netanyahu as he walked along a red carpet ahead of a brief ceremony. He later travelled by helicopter to Jerusalem and, in remarks at Israeli President Reuven Rivlin’s residence, launched his latest salvo against Iran. 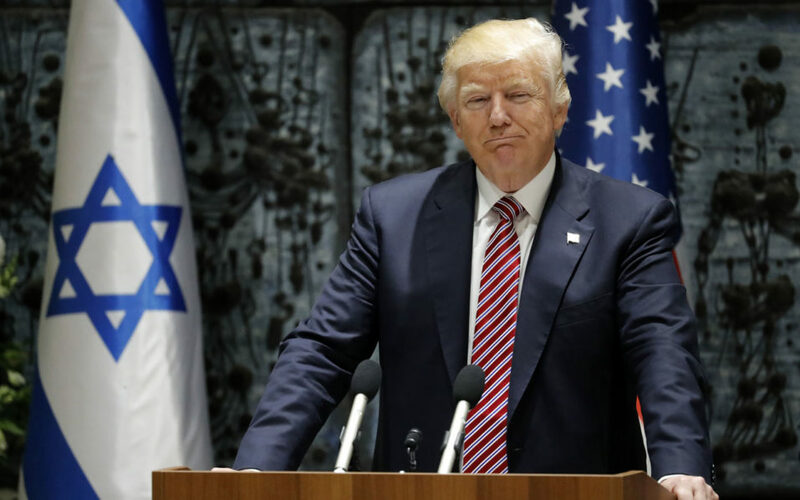 “The United States and Israel can declare with one voice that Iran must never be allowed to possess a nuclear weapon — never ever — and must cease its deadly funding, training and equipping of terrorists and militias,” Trump said. While in Saudi Arabia, Trump accused Iran of fuelling “the fires of sectarian conflict and terror” while calling for its international isolation.